Some time ago, I witnessed how Ethan Hunt, played by Hollywood phenomenon Tom Cruise, together with his team for the fifth time saved the world from destruction. I must honestly admit, I have a weakness for the 'Mission Impossible' franchise and Rogue Nation certainly did not disappoint: lifelike action scenes, sensation, humor, as well as beautiful locations and good acting. But above all, the film series is also instructive. Starting as a novice, Ethan Hunt grew to become the natural leader of his group. His leadership is the key to success or failure. What important leadership lessons can we draw from the film franchise and implement on the work floor? There is no doubt about it, Ethan Hunt is wonderfully talented, but he does not accept any single mission on his own. The goals achieved are the result of a wonderful piece of teamwork. Each team member has his specific skill and contributes his or her bit. Just think of Benji Dunn who can hack any computer system with the click of a mouse or the fighting skills of Ilsa Faust that helps Hunt escape from The Syndicate. A leader is only as good as his team. Good leaders recognize the talent of their employees and use them as well as possible, so that everyone makes a positive contribution to the final goal. In every Mission Impossible film there is an obstacle that needs to be overcome: breaking into a highly secure building, downloading a heavily guarded computer file... This does not happen in haste, but always requires extensive planning, with timing as an important factor. Every step that is taken is mapped out. A leader stands or falls with a good planning. A supervisor must organize the work in such a way that the intended results are achieved within the set time. Leaders therefore all benefit from first drawing up a thorough plan before they get started. Plans, however, have the habit of changing. 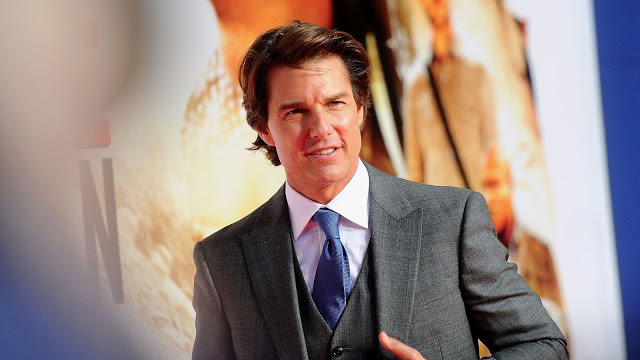 Every Mission Impossible film has a plot twist that jeopardizes the team. Fast anticipation is therefore a must. Leaders must always be prepared to adjust their planning where possible. He must be characterized by his flexibility. After all, a working environment is never static, but changes all the time. However dire the situation, Hunt always believes in the good outcome. He remains courageous and always finds a way to overcome the obstacles. His positive attitude rubs off on his team members, who are only too willing to go the extra mile. A manager must stand by his own convictions. Leaders with self-confidence inspire their teams to get the best out of themselves. In short, managers with confidence have employees with confidence. Ethan Hunt is not afraid to take risks to achieve his goal. Whether he jumps from a skyscraper, climbs a cliff, or dangles from a rising plane, Ethan does it all to reach his goal. Leaders must dare to take risks from time to time. Especially in a world where innovation is the basis for success. Leaders must often take decisions without enough background information. Or they end up in a situation where they must deviate from the standard procedures. As already mentioned, Hunt is extremely aware of the qualities of his team members and therefore he does not miss any chance to express his appreciation. A smile, a pat on the back, a simple thank you, a drink to celebrate the good outcome, Hunt does it all. He gives his team members the opportunity to use their talents, gives his team members wings and commands loyalty. Luther, Brandt and Benji are only too willing to put their lives at risk to help him with the mission. By giving recognition to employees for their achievements, you motivate them to achieve better work performance. Their involvement in the job will increase. Every employee longs to be noticed and appreciated by their manager.